Our kennel sheds use high-quality 12-14mm timber. We have regular sizes or you can create your ideal pet haven built to your requirements. All of our sheds include delivery and professional installation onto a level base. If you have a pet shed idea and you would like to bring it to life, give us a call on 0141 613 1333 and we can help you design the pet shed of your dreams. 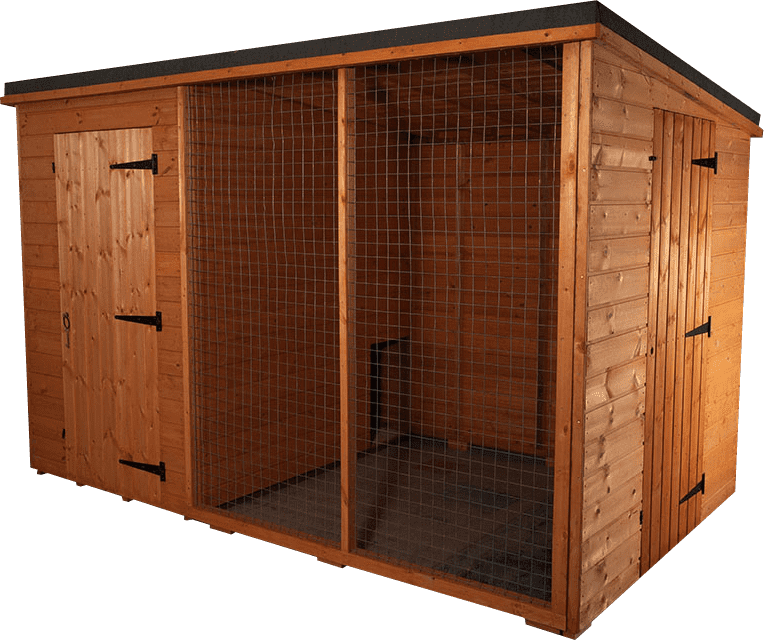 Whether its a rabbit hutch, dog kennel or bird sanctuary we have years of experience in creating garden structures ideally suited for your needs. Click the link below to order your shed today!